Mother’s Day has always been special at our house. Wait, let me try that again… We’ve always tried to make Mother’s Day special, whether that’s been the case for the past 26 years is another story. This especially holds true for the 3 year period Christina; my sister, and I were teenagers together. Our hormones were raging, our attention span was short, and making plans that didn’t revolve around our social circle was next to impossible. During this time, Dad took it upon himself to plan a fun filled day to celebrate Mom only to end up frustrated when the three women of the house – my mom, sister, and myself, would start an argument halfway through the festivities and end up ruining the day. Darn those teenagers. Our poor Dad, even our dog was a girl. Over the years I’ve come to realize how important celebrating this holiday is to my Mom. 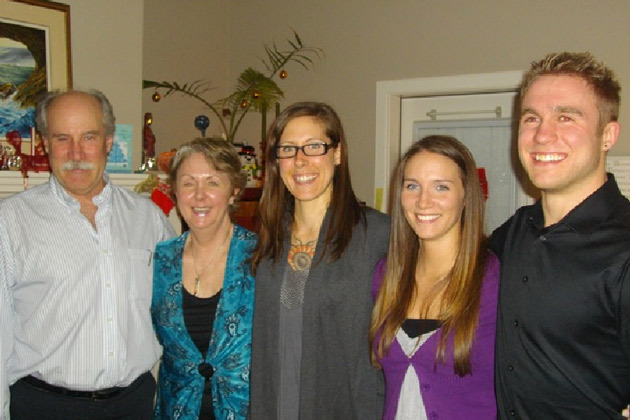 It’s just unfortunate that it took me growing up to realize just how lucky I am to have the family I have. Now, Mother’s day is all about celebrating our Mom and putting as much effort as possible into showing her just how much we appreciate her. Christina is really good with planning events and I’m good at making sure people don’t get hungry during them. Together we’re a Mother’s Day dream team. This year, we’re celebrating it with a morning of gluten-free cinnamon buns (new and improved recipe coming tomorrow), light lunch, and an evening of Indian food. Instead of buying presents, my sister and I agreed to do the homemade thing again this year. My Mom loves chocolate, is allergic to dairy, and is a sucker for peanuts. 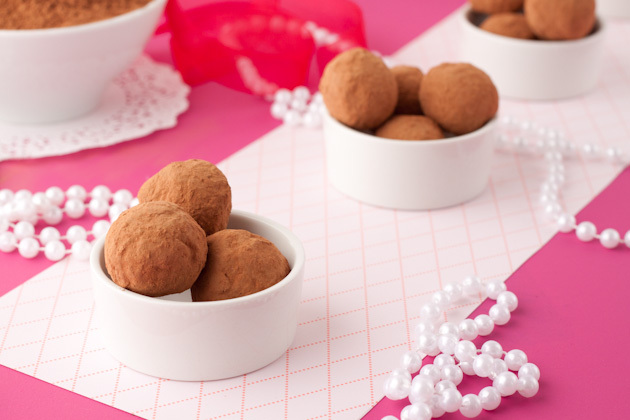 Of course I had to make truffles for her… what Mom wouldn’t want homemade truffles for Mother’s Day? 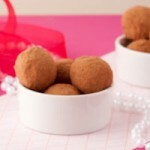 Vegan, nut-free sweet chocolate truffles with no added sugars. 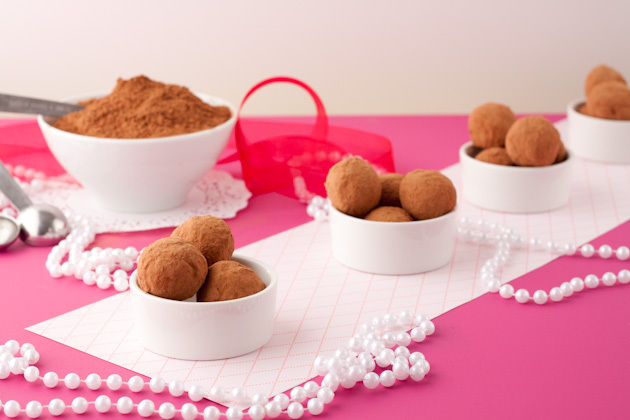 In medium saucepan over low heat, melt coconut oil, unsweetened chocolate, pea-not chocolate butter and powdered xylitol. Stir until smooth. Add half of the cacao powder and stir until fully combined. Remove from heat, stir in vanilla extract and stevia. Chill mixture until firm but still scoop-able, about 3 hours in the fridge. Place remaining cacao powder in a large dish. Set aside. Scoop into 1-inch balls, rolling between palms to form. 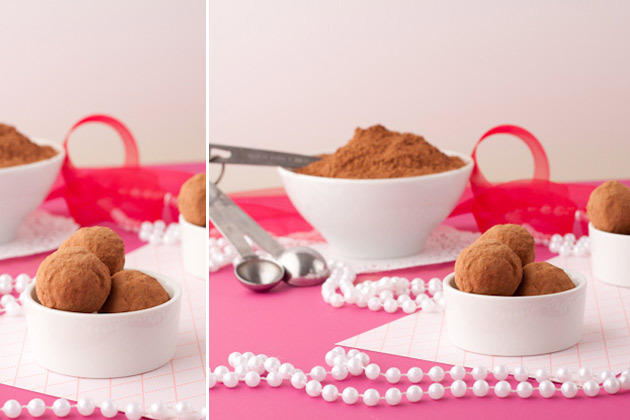 Place complete ball in cacao powder dish. 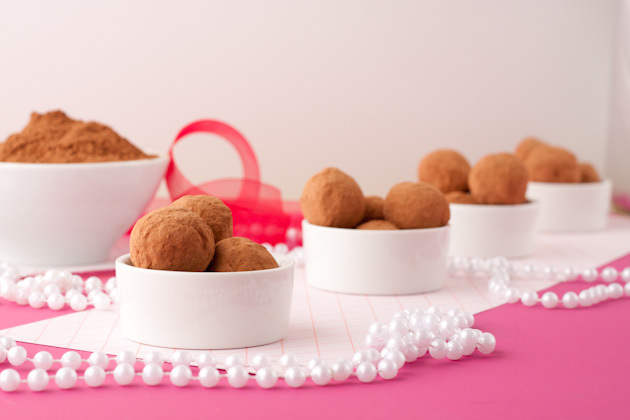 Hold the dish in your hand and move it back and forth in a circular motion to move the chocolate ball around in the powder. Keep the ball in the dish and repeat with remaining truffle mixture. Once complete, place back in the fridge to harden up slightly. If they are melted too much, the cacao powder gets sucked up and looses it’s powdery outside. To grind your xylitol, place in a coffee grinder and run for a couple of seconds. 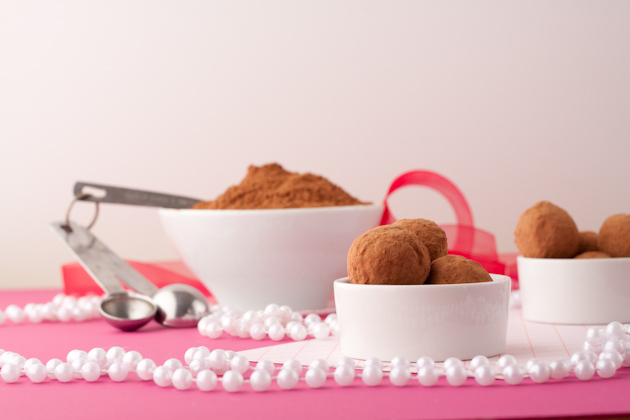 Not grinding the xylitol will result in xyltiol crystals throughout your truffles. No good! Vegan, Gluten-free, Dairy-free, Sugar-free, Yeast-free, Corn-free, Grain-free, Nut-free Yield: 1/2 cup chocolate nut-free butter Servings: 8 Nut-free chocolate pea-not butter. Use in recipe above, or use as a breakfast or dessert spread for fruits, breads or just off a spoon. If the sunflower butter that you purchase is quite oily naturally, omit the coconut oil.